Hello admin I applied for Canada visa few months ago, am going for serious meeting in October 23. I was told to wait for an email for approval, I haven’t seen anything yet as at today... do I still have hope? For applicants from Nigeria the average processing time is 37 Days. Nobody can tell you if you have hope or not however it’s almost time for your serious meeting. You will find out soon enough. There is no guarantee that your visa will be processed faster. Try to be very professional and make sure to write an appropriate letter to them with valid reason and as much as possible details about your meetings. It is clear to me that your case is not a valid urgent case but your application may be stuck at some stage and combination of an email and a phone call may lead to moving your application forward. Not the answer you're looking for? Browse other questions tagged canada applications nigerian-citizens or ask your own question. 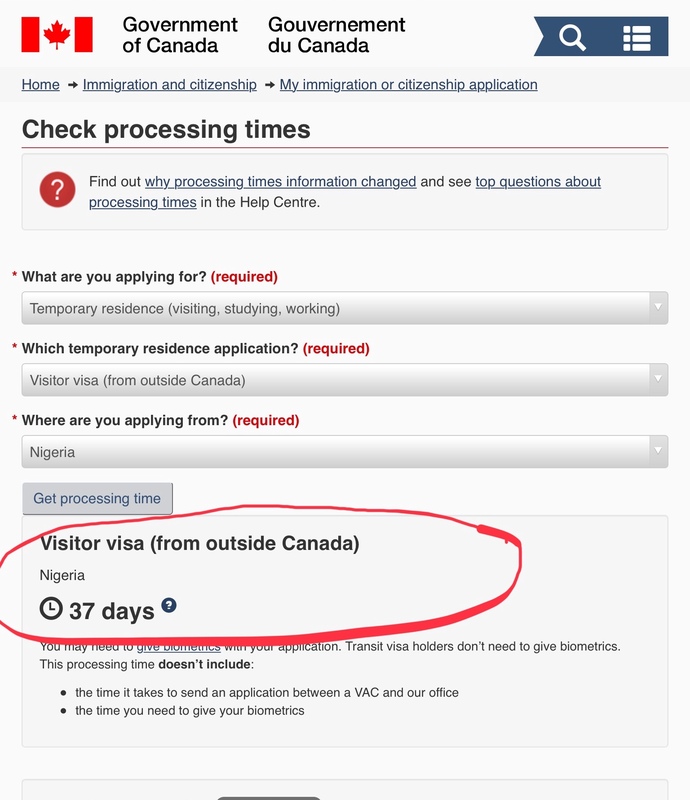 Can I get a refund from the Canadian consulate if my transit visa didn't arrive in time for my trip?